Europeans are losing a sense of history and not learning from the mistakes of the past. It is time to stop mourning, and start banishing hate speech which can only lead us back to the horrors of the past, writes Luca Jahier. Why is anti-Semitism not dead, not in Europe and not even in the United States? Why in France last year was a Holocaust survivor stabbed and burned to death in her apartment? Why the year before was a retired kindergarten teacher, Sarah Halimi, murdered and subsequently thrown from her Paris balcony? Paris. Toulouse. Malmo. Copenhagen. Berlin, Brussels. Our humanity stained by innocent blood. Something we thought unimaginable is haunting us once again. Germany’s Jews have been advised to stop wearing kippahs for fear of attacks. French Jewish schoolchildren have been warned not to attend a local school described as anti-Semitic. Add to this the desecration of cemeteries, the swastikas painted on synagogues and schools, Jews being called “apes and pigs” at anti-Israel rallies. Europe is showing its ugly, inhumane face again. Centuries ago, Jews were persecuted as a religious minority. In the last century, Jews were seen as a threat to the state, hence the desire to exterminate them in the Holocaust. Today, Jews are targeted mainly because of events in the Middle East, although some anti-Semitic sentiments also revolve around denying the Holocaust. Many Jews are starting to bear the brunt of an angry populace feeling frustrated, disenfranchised and powerless. The Jewish population in Europe is declining. According to EU data, it fell from around 1.12 million in 2009 to 1.08 million in 2017. France’s Jewish population, the largest in the EU, declined from around 500 000 in 2002 to 456 000 in 2017. Jews are leaving because of hate crimes. Almost a third of European Jews avoid attending events or visiting Jewish sites because they do not feel safe. Nine out of 10 European Jews believe anti-Semitism has increased over the past five years, according to a survey released by the European Commission last December. According to 89 percent of the 16 300 respondents to this survey, conducted in Austria, Belgium, Denmark, France, Germany, Hungary, Italy, the Netherlands, Poland, Spain, Sweden and the United Kingdom – the 12 countries home to 96 percent of European Jews – anti-Semitism is worst and most problematic on the internet and social networks. We cannot allow the ugliness to come back. We need to combat hate crimes and hostile, violent behaviour towards Jews and minorities. Any failure on the part of our EU Member States or the international community to act, and to act promptly, will risk a return to the atrocities of the past and the contamination of our societies. As was widely reported, just three days before the murder of Pawel Adamowicz in Gdańsk, an anti-Semitic satire was broadcast on prime time TV. In the satire, the charity organisation that invited Mr Adamowicz to the event where he was killed was portrayed as being run by opaque forces. Mr Adamowicz was a staunch defender of the rights of minorities at a time of rising levels of hate crime. He was also an ardent liberal critic of the ruling conservative party’s anti-immigrant policies. His murder serves as a reminder that we must end hate speech if we wish to avoid falling prey to hate. 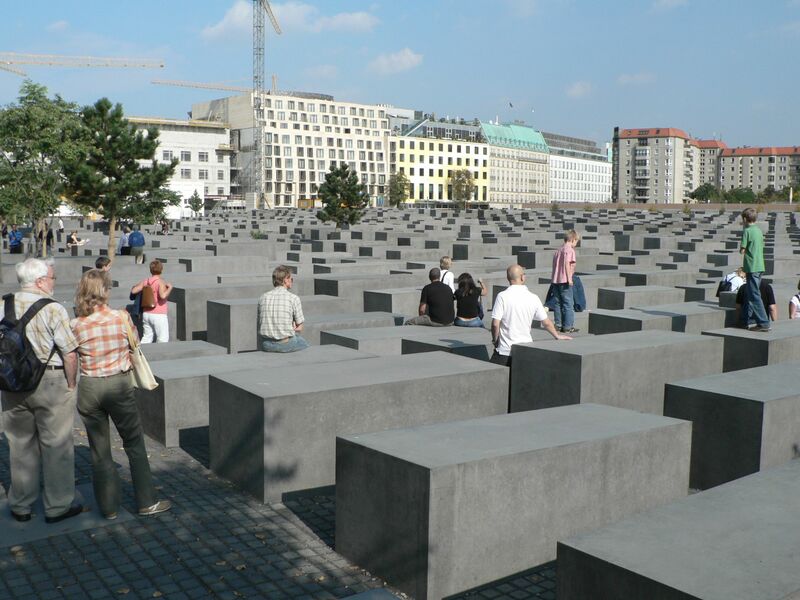 Remembering the victims of the Holocaust and the Nazi atrocities is even more important today. The Holocaust is a defining legacy of European history and remembering the Shoah is an important means of preventing anti-Semitism. As stressed by some history scholars, the time has come for a critical European culture of remembrance rather than an individual national culture of remembrance. If we do not remember together as Europeans, we risk reliving the mistakes of the past. The longer we wait to banish hate speech and the longer we delay coming to terms with our pasts, the harder it will be to construct a genuine new collective European memory and forge a new identity, based on diversity, a sense of common history, common belonging and finally a common destiny.